Our panel of experts share their suggestions for creating a kind, courteous and memorable customer experience. Your advisors are the face of your organisation and have a lot of opportunities to be kind to your customers and make interacting with your organisation a pleasant experience. i. Train advisors well and let them know how they are doing – Provide advisors with the knowledge and expertise needed to come across as helpful and considerate. And make sure you provide feedback quickly – positive reinforcement is crucial, and the faster you address problems, the easier they are to resolve. ii. Manage to the correct KPIs – If you expect your advisors to show kindness towards your customers, then Average Handle Time should probably not be your prevalent metric. Empathy simply cannot be rushed. iii. Personalise every interaction – Advisors need immediate access to customer data. “Knowing” the customer is what enables your advisors to show the “friendly, generous and considerate nature” that, according to the Oxford Dictionary, defines kindness. The more insight, the better. Consider previous interactions, open tickets, customer mood at the last contact, customer preferences, likes and dislikes. iv. Simplify contact handling – Give your advisors an intuitive, consolidated omnichannel interface so that they can focus on the customer, instead of wrestling with an obstinate tool, or “alt-tab-ing” their way through too many screens. v. Monitor Advisor Satisfaction (ASat) – It’s a well-known fact that happy advisors make for happy customers. Most contact centres monitor customer-centric KPIs such as Customer Satisfaction (CSat) and Net Promoter Score (NPS). Rightly so, but improving “ASat” will go a long way toward kindness in your contact centre. It will show in how your advisors interact with your customers. There’s no denying it, outbound calling does not have the greatest reputation. 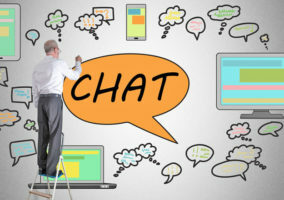 However, don’t jump to conclusions and discard all outbound activities just yet because outbound calls or digital outreach (SMS, emails) can help create a better customer experience when done right. Proactive outreach with the correct message at the right time could be considered the epitome of excellence in customer service. This happens when you know your customer well enough to reach out to them in their preferred channel even before they contact you. Then you are providing what is often called an effortless customer experience. When you know your customer well enough to reach out to them in their preferred channel even before they contact you, then you are providing what is often called an effortless customer experience. I think we’ve all been there. You have a dentist appointment. You put it into your diary so you don’t forget – and then “life” happens. Wouldn’t it be great if, say a day or two before, someone reached out to you reminding you of that appointment and even giving you the opportunity to reschedule if needed? Another example: I order coffee pods online and have them sent home – I like the fact that I get an SMS when I’m running low that includes a link to the website where I can order fresh supply right away. 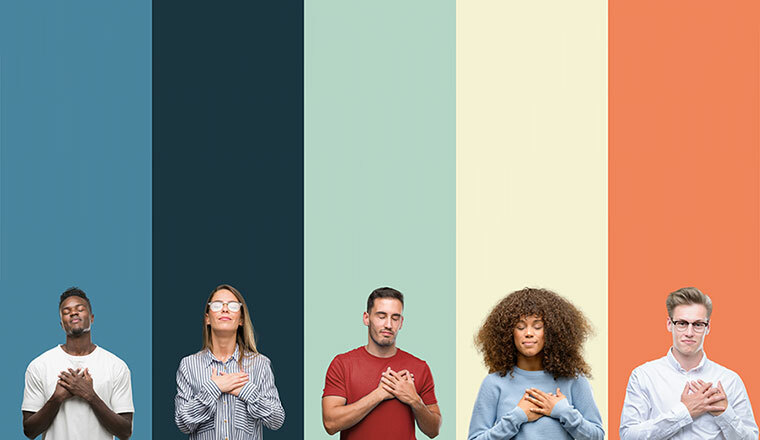 While attempts have been made, there is no universal approach or scale that enables us to measure kindness – in the contact centre or anywhere else. That is likely because what is considered kind can be subjective and because showing kindness is one of those fleeting, elusive things that defy the attempt to formalise. “Being kind” is situational, personal and not easy to predict or pin down. If kindness in customer service is not easily measurable, what can you measure to at least get an idea of how you are doing? According to the 2018 UK Customer Satisfaction Index (UKCSI), the two most prominent measurements are Customer Satisfaction (CSat) and Net Promoter Score (NPS). Faring well in both CSat and NPS scores is certainly a great start, as it indicates that your customers are happy with the service you provide. Both CSat and NPS use customer surveys but are quite different otherwise. CSat surveys focus on a single transaction and capture how the company performed during that interaction and how that made the customer feel. CSat surveys are very short (3–10 questions) and take only a minute or two to complete. They are sent out at the end of the interaction for which we are capturing CSat. NPS surveys, on the other hand, focus on the overall customer–company relationship. NPS surveys are sent twice a year to each customer. They focus on the overall relationship and its core elements. Kindness is not easy to measure, but these two metrics will help you to find out whether your customers are happy. And sometimes, they may even tell you that they were treated kindly! Resolution and effort are good measures, but neither give real insight into how kind the customer experience is. Emotion, on the other hand, does, which can be done through calculating a Net Emotional Value (NEV). Resolution and effort are good measures, but neither give real insight into how kind the customer experience is. Emotion, on the other hand, does. However, to go one step further, try engagement analytics analysis to identify words, phrases and acoustic qualities that demonstrate when a customer is unhappy. It can also identify what triggers negative reactions from customers. The reverse is also true, as analytics can also identify the words, phrases and tone that trigger a positive response. In fact, if you want to make kindness a part of your behaviour and brand values, you can create a ‘kindness’ category in your analytics. This will enable you to identify what is seen as kind behaviour and analyse every call to ensure it is present. With this insight, advisors can adjust what they say and how they say it according to the behaviour of the customer, while real-time analytics enables you to go one step further and prompt the advisor to adopt behaviour, words and phrases that are seen as kind by customers. Training advisors to tailor service to vulnerable customers is something that many forward-thinking contact centres are focusing on. However, how can you identify a vulnerable customer? The Texas Drill is an industry-wide tool which is used to help advisors make an assessment of customer vulnerability, including gaining compliant and explicit consent. But interaction analytics can help take this one step further. To do so, create a “vulnerable” category in your interaction analytics system to identify the characteristics of a vulnerable customer. With this insight you can guide advisors on the right words to use to deliver a kind experience to people who really need to feel that they are being dealt with sympathetically. The more you refine your categories, the more you will be able to understand the needs of the customer, even if the customer does not openly disclose their issues. The ability to treat vulnerable customers kindly makes a big difference to advisor morale and satisfaction as they know they are making a real difference to people’s lives. As Richard Branson says: “if you take care of your employees, they will take of the client”, and one key way to do this is by offering advisors the optimal work–life balance. 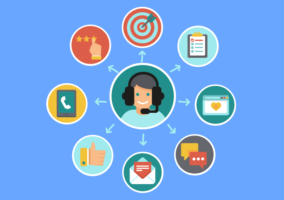 By incorporating gamification into your contact centre, you’ll be engaging better with employees, improving their motivation to provide customers with courteous and kind customer service. Many WFM systems now come equipped with gamification functionality where you can engage advisors with badges and scorecards and reward top performers. Another benefit is that you’ll be able to recognise newcomers and those who have improved the most, rather than only those who continually achieve. But remember, when incorporating gamification it is important that you have a strategy behind it. What are your employees’ needs and goals? Why are they playing? What’s holding your employees back from achieving their potential? Is it lack of belief that they are capable of completing the task or that there is any value in them doing so? What is their primary playing style? Do they work best alone or in a team? What metrics do they care about? Are you measuring employees against the right metrics to motivate them and hit targets? Ask advisors to contact customers before they have a chance to complain, or even better, before they are aware they have a problem. It is better to tell the customer of an issue and say sorry up front than to wait for the customer to find out for themselves. Also, follow up low CSat interactions with personalised calls to make customers feel listened to and show that you take their business seriously. Follow up low CSat interactions with personalised calls to make customers feel listened to and show that you take their business seriously. To go one step further, look into routing technology, based on CRM data, to prioritise VIP customers. Or you could instead make self-service a priority to give customers the real-time, on-demand service they expect, while allowing advisors more time to handle complex or sensitive enquiries that require the human touch. Get out of the management bubble to find out what customers really think. Listen to your advisors and act on their first-hand customer insights. Take a look at your company website. Can you find all the information you need quickly? 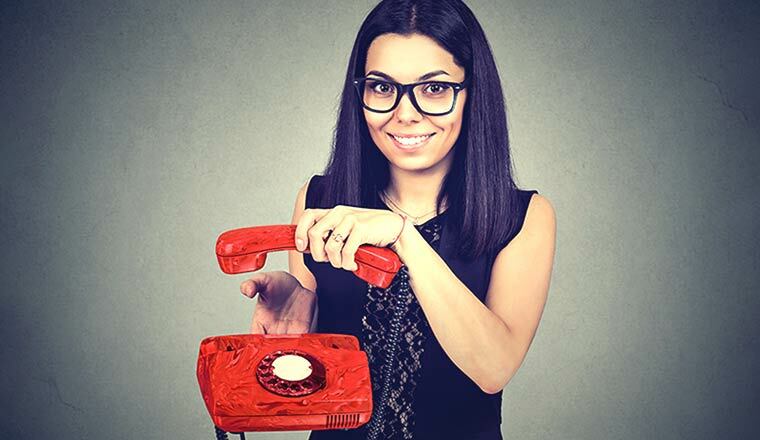 Call your own contact centre and try out the IVR menu. Is it too long or confusing? Then, turn this vital intelligence into fresh ways of driving memorable customer interactions for all the right reasons. The IVR is often something that many contact centres have not adapted in years, but it is an area where much improvement can be made, in terms of providing a better, kinder experience. For example, think about offering call-backs within the IVR to save customers waiting a long time for service, when contact centre demand is much higher than expected. In a world where self-service is much more prominent, and GDPR commits us to stricter internal processes, the time to raise the bar and create memorable experiences for customers is here. Customers want to feel “at one” with your business. They want to do business with you on their terms and feel positive at the end of every interaction. The key takeaway is that we must make customer interactions simple, memorable and, most of all, human. When customers do contact you, your advisors must be empowered, able to prioritise the conversation over process wherever possible and not treat the interaction as a tick-box exercise in line with outdated quality processes. In short, they must be able to avoid taking customers through an endless list of process-driven questions that deviate from the topic they want to discuss. True customer engagement can only be achieved if your advisors are engaged too. eGain research shows that 73% of consumers believe that valuing their time is the most important thing a business can do for them, when it comes to customer service. While empathy and other soft skills are fundamental requirements for good customer service, knowledgeable, caring advisors are key to providing kind customer service. But how can you ensure that your advisors (and self-service systems) are knowledgeable enough to “lower” the hurdles and provide a kinder service? A conversational guidance system, enabled by knowledge management and AI, has been proven to help here. However, only 44% of contact centres have implemented any kind of knowledge management system, with only 4% reporting implementation of AI. With so few contact centres having a knowledge management system, training costs will likely be high, time to competency will be long and consistency of information given to customers may come into question. The first and most critical step to creating a kind customer experience is being kind to your advisors. They are potentially the only live human representative of your business your customers will ever speak to, and if they are not engaged, enabled, customer-experience-centric and happy, a kind customer perception of the interaction is doubtful. It has taken quite some time for contact centres to finally come around to the realisation that respecting and empowering their agents has far-reaching implications not only for the business – think attrition, attendance and KPIs – but also for the raw on-the-phone customer experience. The customer experience is at the forefront of many business strategies today. Now organisations are spreading this focus onto the advisor experience also – better integrating systems, upgrading scheduling processes and improving culture. It’s a no-brainer: happy advisors will engage positively with your customers and the result will be not only kind customer experiences but outstanding ones as well. A tricky part of customer service in today’s digital world is implementing technology in order to strike the right balance that ultimately enhances the human-to-human customer experience. The emergence of Artificial Intelligence (AI) has made this point even more relevant in recent times, as many organisations question how best to implement the new technology. One way to implement it is to analyse calls in order to establish what a good call is, where employee training is needed, and how both employees and customers react during the call. AI systems will be able to monitor how someone speaks, with self-learning capabilities deciding the difference between good and bad calls for training purposes. In this way, with the ability to train customer service staff that are performing below par, according to the AI analysis, businesses will be able to significantly improve the customer experience, to ensure it is an easy, positive and kind one for all callers. What greater wisdom is there than kindness? And what greater kindness is there than just taking the time to listen to someone? If you’re treating customer feedback as an “insight” project – designed to give data to your marketing and process improvement teams, try treating it as a CX improvement project instead. Make your customers love you more by listening to them as individuals and responding to what they tell you. It’s tempting, when we think about kindness, to think about grand acts like giving presents and gifts, but simply listening (and acting on what you hear) is true kindness. As a bonus, it improves your bottom line too!